Navigate to the “Notification Services” section of your Organization page. 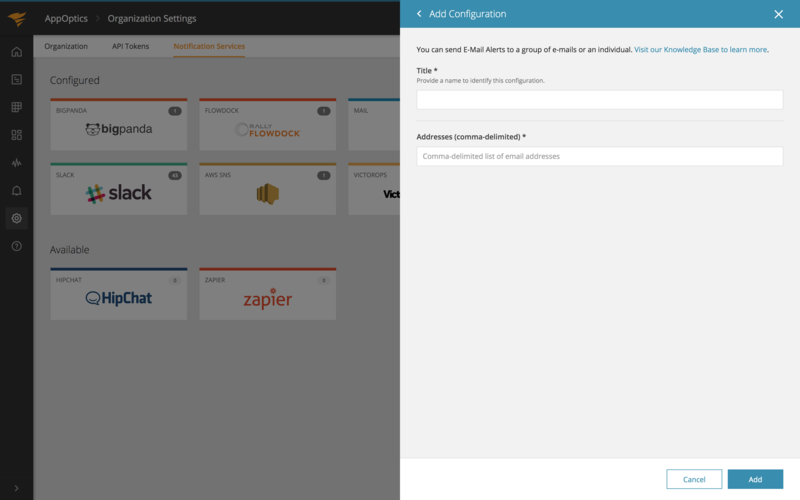 Click on the Mail integration, then on the “Add Configuration” button. The only two fields you need to add are the Title and the actual email address. You can even enter multiple email addresses separated by a comma. You can create as many email service destinations as you want.